Driving through Sonoma’s Dry Creek Valley is like traveling back in time. 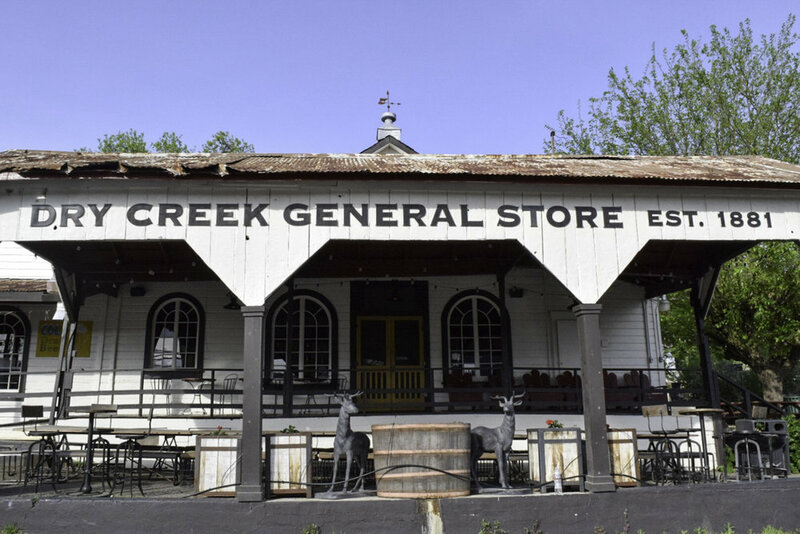 It’s almost as if time stood still in Dry Creek Valley with several stop lights, two roads and the old fashioned Dry Creek Deli General Store. This charming farming community continues to be the home to generations of grape growers and winemakers with pride taken on the Zinfandel variety. With over 150 growers and 60 wineries, Dry Creek Valley is a scenic crossing between a hillside and two creeks, Dry Creek and Dutcher Creek. At the junction of these two creeks is where Dutcher Crossing Winery is charmingly placed and where its name came to be. 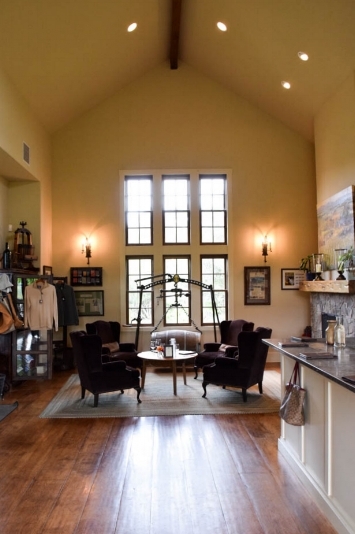 As you arrive at Dutcher Crossing Winery, you’re greeted by a panoramic view of the hillside with an open air breezeway. You may also be warmly welcomed by their official greeter, Dutchess, the owners golden retriever. The open passageway is surrounded by parallel walls dividing the production room and the tasting room. 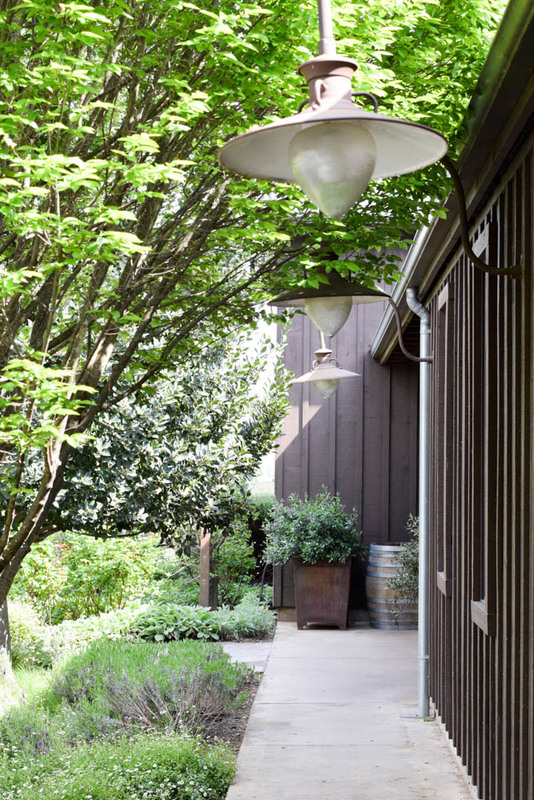 The antique decor around the tasting room is open and bright, giving you the feel of stepping back in time with a slight modern country touch. 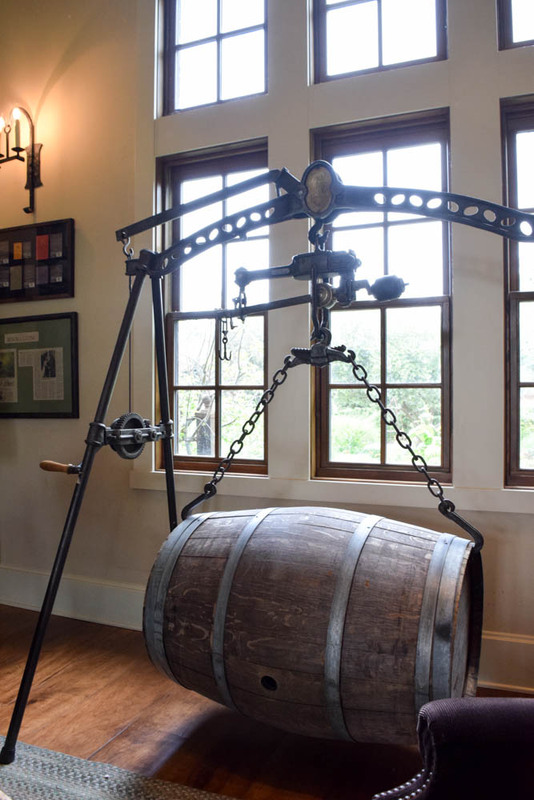 When you enter the tasting room, you will immediately notice a stone fireplace and a vintage bicycle. The stone fireplace is constructed of old railroad pieces and placed next to it, is the most beautiful replica of a 1892 Penny Farthing style bicycle where the front wheel is larger than the front. This vintage bicycle was not only the last Christmas gift, Debra, received from her late father, but it also represents her love for cycling. 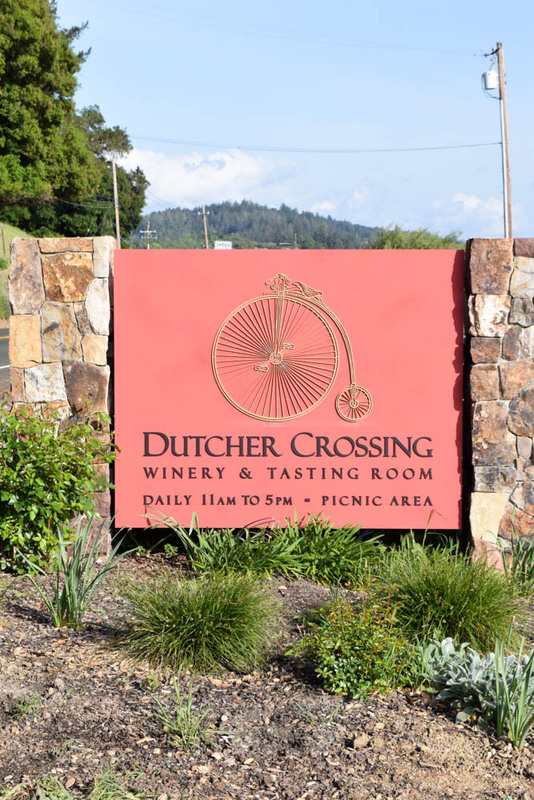 Now the vintage bicycle is shown as the iconic emblem on the wine glass and the logo for Dutcher Crossing Winery. It also symbolizes Debra and her father’s journey in search to find the perfect location for their dream winery. 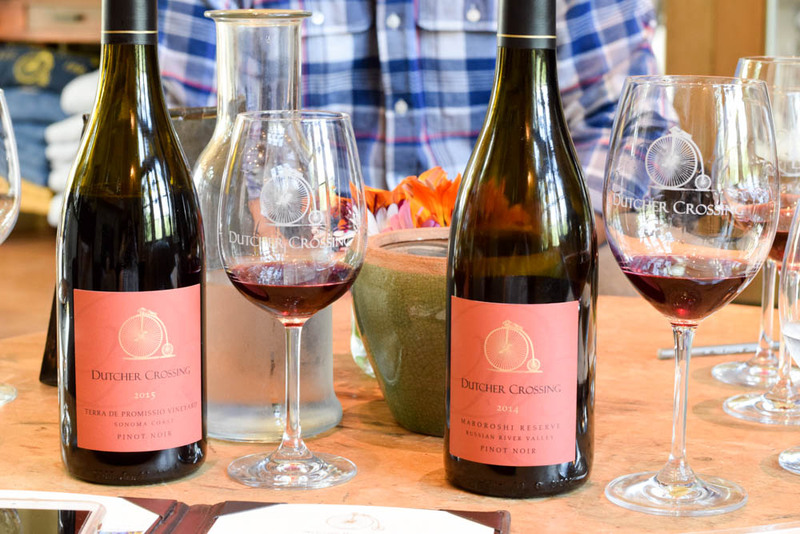 Dutcher Crossing wines have quickly become some of my favorites. Actually, I love all their wines, but my personal favorites have been their zinfandels and more recently, their Grenache Rose (sold out). They also have a refreshing and crisp Sauvignon Blanc, Chardonnay’s, Syrah, Cabernet Sauvignon, Pinot Noir, Merlot, Port and Petite Syrah. The entire winery sits overlooking the beautiful mountainside with a lattice covered picnic terrace in the back for a more serene and quiet tasting atmosphere. 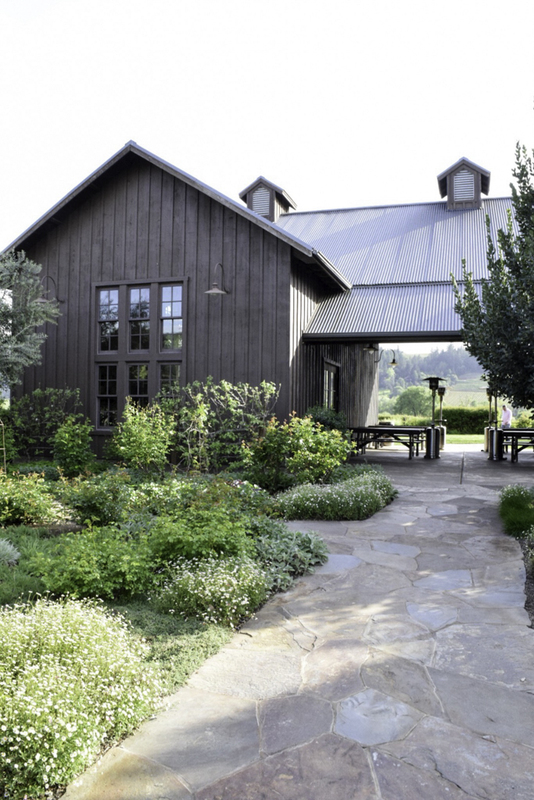 The winery is also beautifully landscaped with luscious gardens. The staff are friendly and well educated, like Ryan, who guided us on an educational and thorough wine tour. The tour started with a walkthrough of the winery and vineyard, ending with a barrel tasting with the winemaker, Nick Briggs (pictured on the right). 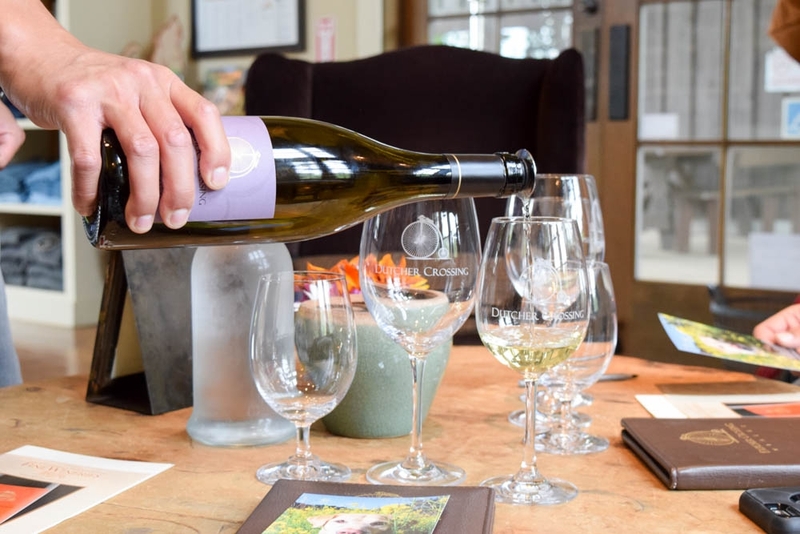 Dry Creek Valley has quickly become a favorite in Sonoma with their charming town, beautiful wineries and delicious wines. Another reason to love Dry creek Valley is all the wineries will be 100 % self sustainable by 2019. 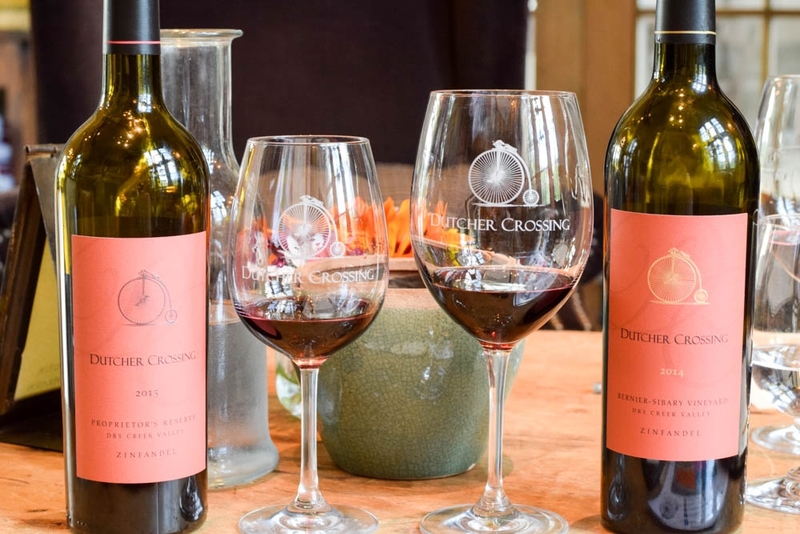 So if you’re a Zinfandel lover or looking for a relaxing and quiet wine tasting atmosphere that's pet friendly, then Dutcher Crossing in Sonoma is a winery you must visit. 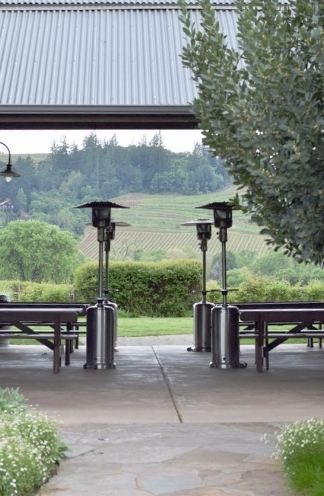 With cool misty mornings, this winery provides delicious, robust wines with panoramic views of the meadows and Dry Creek valley. Photography by me and my other half, David Eccles. Tip: Ask one of the hospitality staff if they have any 2 for 1 Wine tasting coupons. They often have coupons to other local and nearby wineries. Thank You Dutcher Crossing Winery for your generous hospitality. You wines are truly amazing!